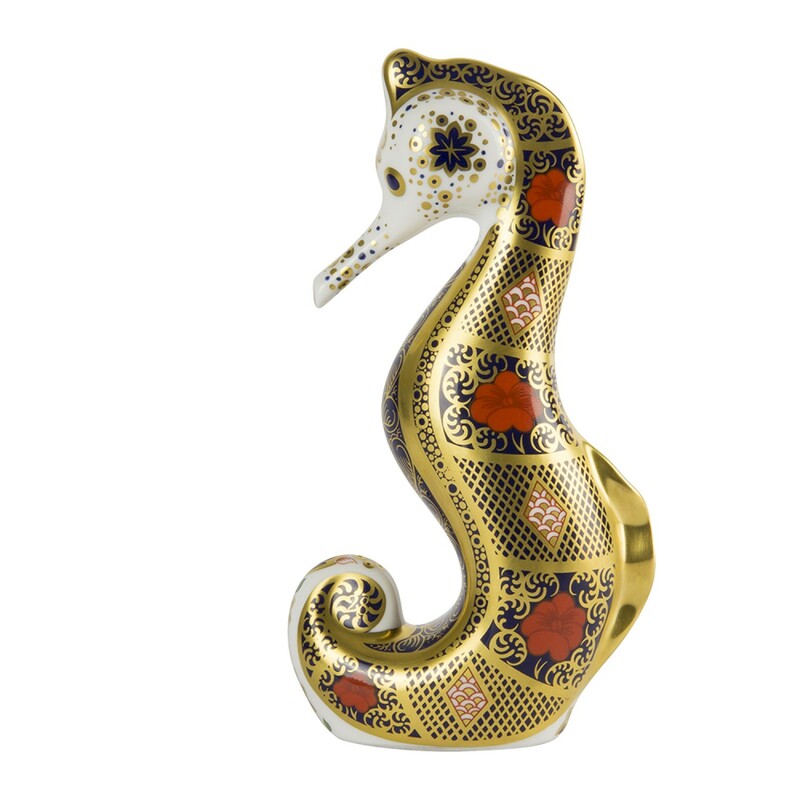 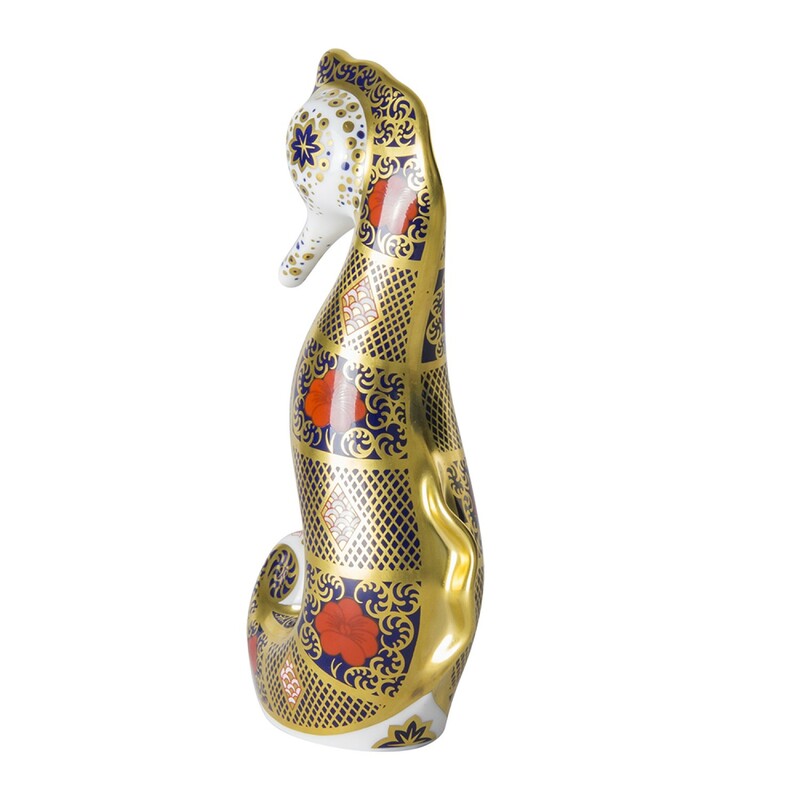 Introducing the elegant, Old Imari Solid Gold Band Seahorse. 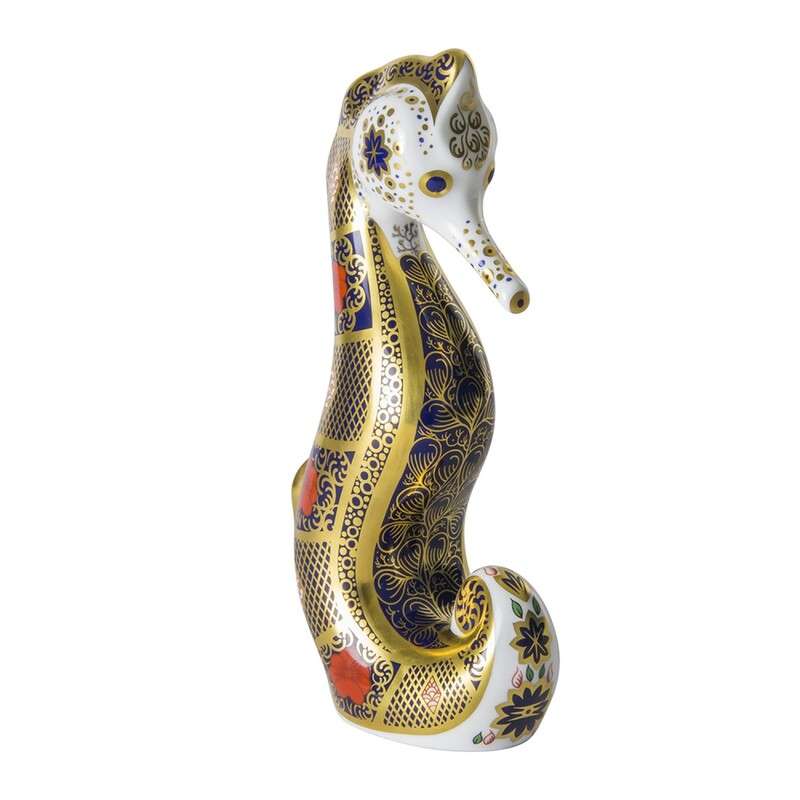 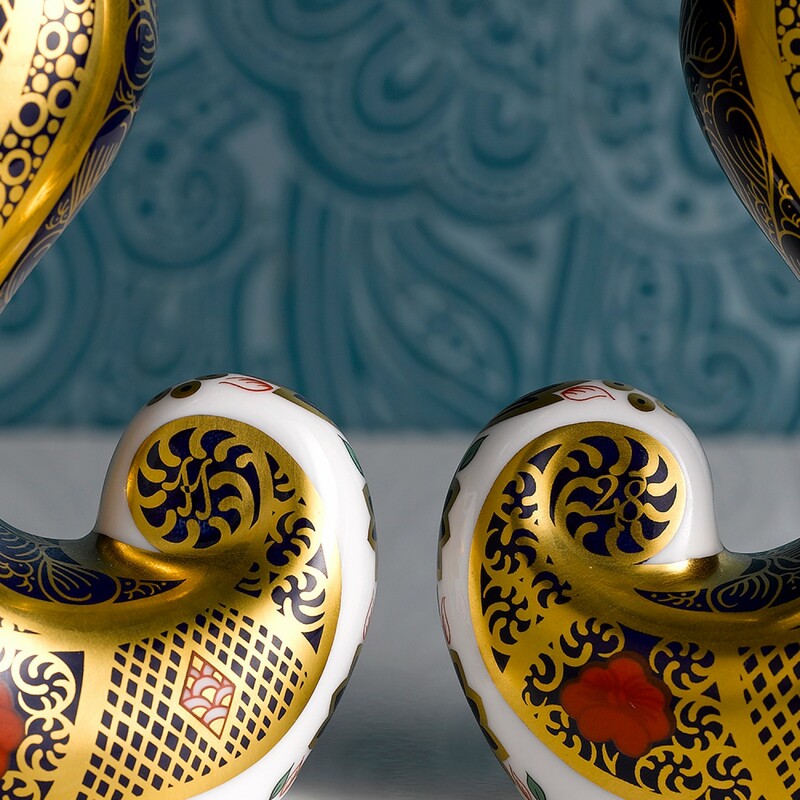 Having a symbolic meaning of patience, friendliness, protection, and contentment, the Old Imari Solid Gold Band Seahorse is designed in the striking and opulent Derby rich blue and red colours with lavishly 22 carat decoration. To add intrigue, there is a hidden historical reference in the tail showing the numbers, '11' on one side and '28' on the reverse. 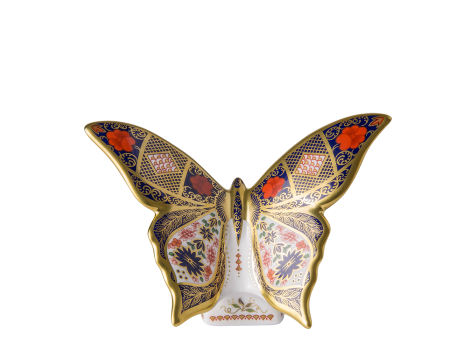 The original 1128 Old Imari pattern number is synonymous with Royal Crown Derby history, recorded in pattern book number 2, c.1882. 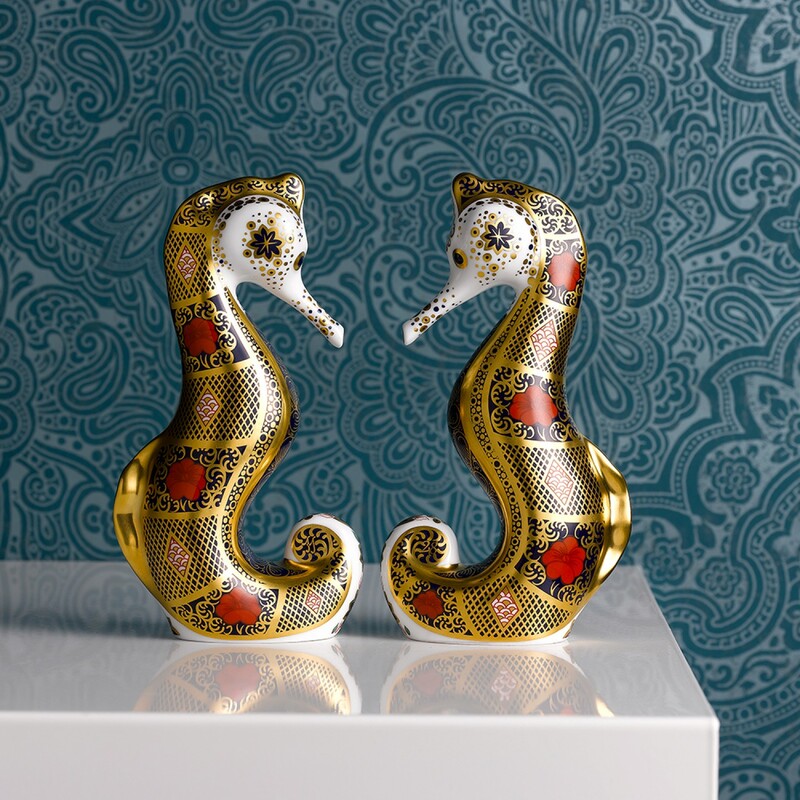 Seahorse's pair for life, why not purchase a pair to display the pattern number in full view.